Carl Flygare, PNY’s NVIDIA® Quadro® Product Marketing Manager, discusses with Roadway Media’s Pallab Chatterjee how GPU rendering, specifically the VCA Certified System powered by eight Quadro P6000 boards, is changing the rendering pipeline component of digital workflows for manufacturing, product designers, architects and other creative agencies. Roadway produces Bright Blue Innovation, a tech show broadcast by Comcast on channel 27 and AT&T U-Verse channel 99 in the San Francisco East Bay, that covers innovation as a driving force in the technology world. 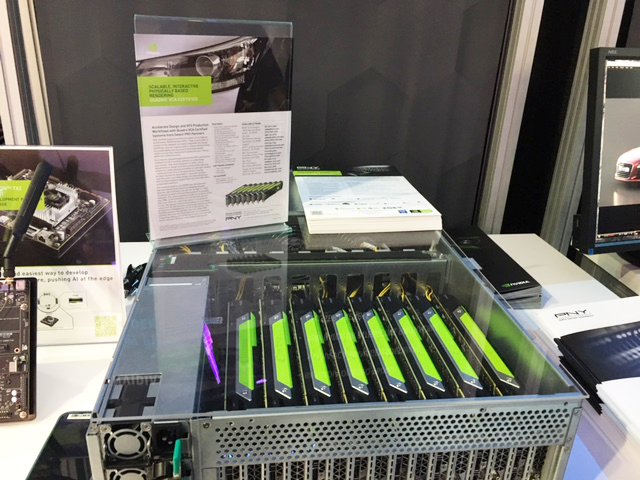 Visit PNY at the GPU Technology Conference to experience NVIDIA Quadro VCA Systems, Quadro GP100 Multi-GPU and Embedded Solutions. Billed as the largest and most important event of the year for GPU developers, the GPU Technology Conference (GTC) showcases the most vital work in the computing industry today – including artificial intelligence and deep learning, healthcare, virtual reality, accelerated analytics, and self-driving cars. 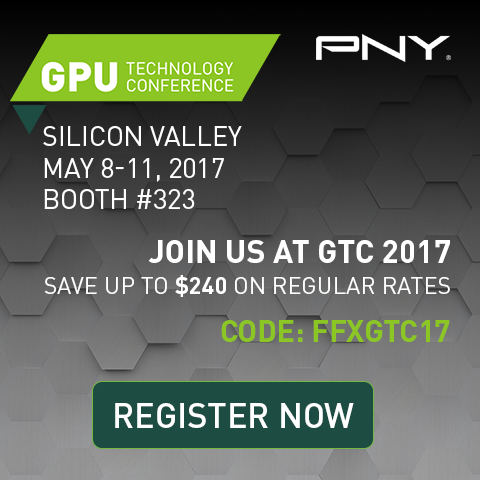 PNY is proud to be a sponsor of GTC 2017, and will be demonstrating the new family of Quadro Pascal™-based professional GPU solutions including: the Quadro GP100, Visual Computing Appliance (VCA) featuring eight ultra-high-end Quadro P6000 GPUs and Quadro Embedded solutions. 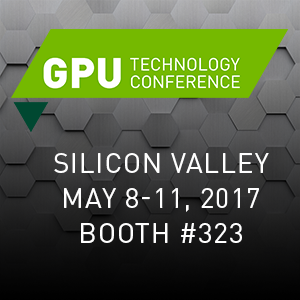 PNY is proud to be a sponsor of NVIDIA GPU Technology Conference 2017. GTC showcases the most innovative work in the computing industry today—including artificial intelligence and deep learning, virtual reality, self-driving cars, and accelerated analytics. See us in Booth # 323 and use code FFXGTC17 to save up to $240 on regular rates when you register through April 5. 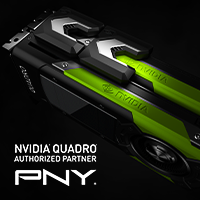 NVIDIA® Quadro® GP100 excels at a capability to run both compute and graphics tasks, allowing users to run demanding simulations and create complex 3D models at the same time. GP100 is targeted for professionals who need extremely high levels of compute and visualization performance. Solutions within Manufacturing, Media & Entertainment, Medical, AEC, Scientific Visualization, HPC, and AI/deep learning segments are examples but many other use case scenarios can be realized as well. NVIDIA Quadro GP100 Pascal GPU floating point hardware provides the FP64 (5.2 TFLOPS), FP32 (10.3 TFLOPS and FP16 (20.7 TFLOPS) performance required for demanding compute, simulation, AI and deep learning applications.